Top 10 Kdrama Actors Over 35 You'd Still Call "Oppa"
one besides halmoni is old. Now as much as I crush on all the guys my own age and younger, I still find myself getting mega crushes on a hot ajusshi every now and then. You know, the ajusshi’s who are just a tad bit older than the oppa’s but you still have no problem what so ever calling them oppa if they asked you to. Welcome 2PM's Jun.K to Instagram !!! You'll be seeing even more of 2PM's Jun.K as he has just started Instagram! of himself with quite the facial expression! Leading right behind the popular idol-to-actor trend, viewers have been pleasantly surprised to see long-legged, sharply-sculpted, and undeniably charming models taking the lead roles in many of our favorite dramas. And not only are these rising actor/models are stealing main roles, but they are also making their way into variety shows, MCs, and commercial deals. These beautiful men were once found strutting across the runway stages. And now, they are on the path following the legendary model-to-actor seniors such as Jo In Sung, Cha Seung Won, and Gong Yoo. Here are some of our favorite rising model-to-actor rookie that have caused a significant impact in the K-drama realm. 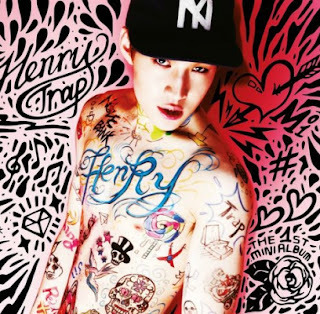 Henry unleashes "Trap" (ft. Kyuhyun and Taemin) + mini album! Make way because Henry is here to reclaim the hearts of fans with his solo debut this time! In addition to the title track "Trap", his mini album also includes "1-4-3 (I Love You)" by his own composing team Noize Bank that describes the story of a guy who hasn't completely mastered the Korean language falling for a Korean girl(Henry is this about you? ); "My Everything", a medium tempo R&B pop song; "Ready 2 Love", a self-composed song by Henry; "Holiday", an upbeat song that talks about wanting to escape when things don't seem to go your way; and "I Would", an emotional song (in English!) further emphasized by the piano melody ofYiruma. To make his solo debut even more exciting, he's brought in his labelmates Kyuhyun and Taemin who both feature in "Trap". These two will also hop on stage for broadcast performances of the song starting with 'Music Bank' later tonight! 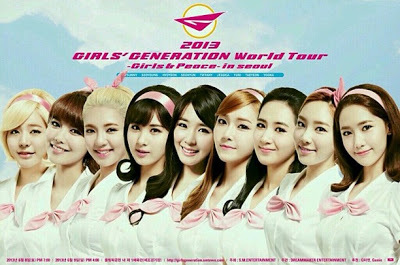 Taeyeon promotes upcoming ‘2013 Girls’ Generation’s World Tour’ !!! Taeyeon, who has been actively interacting with fans through her Instagram, goes all out to promote Girls’ Generation’s upcoming ‘2013 Girls’ Generation’s World Tour’. Girls’ Generation will kick off their ‘2013 Girls’ Generation’s World Tour – Girls & Peace’ starting in Seoul at the Gymnastics Stadium on June 8th and 9th before going around Asia as well as the various parts of the world.